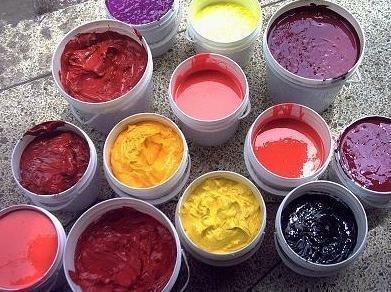 We are a renowned name, which is engaged in the manufacturing and supplying of excellent quality Organic Pigment Paste. The offered range of paints is formulated by the experts using the finest quality chemicals in accurate composition. These paints are known for their environment-friendly nature and precise pH value. We, Kanshu Chemical Industries, were founded in the year 1992 and started Manufacturing, Exporting and Supplying a vast assemblage of Pigment Paste. We have Detergent Pigment Pastes, Organic Pigment Paste, Fine Pigment Paste, Pigment Emulsion, etc. under the array of our offerings that are processed by following environmentally friendly procedures. Owing to their wide application in numerous industries like rubber, paints and others, these products have been highly appreciated for their flawless processing. Backed by our sound infrastructure facilities and team of effulgent professionals, we have been able to cater to the diversified needs of our customers. Our employees hold expertise in the specified field and have acquired in-depth knowledge. Owing credit to their competent working measures and zeal to establish our name, our company has gained its present market position and strength. We are committed towards making our customers satisfied and for this reason, follow client-centric working principles. Our perception and objective to bring forth impeccable offerings has brought success and glory for us, in this industry. Throughout our journey, we have been committed to delivering best-in-class products, enabling us to garner a huge client base. As we have gained huge success in our profound business, we owe credit for this to our mentor and guide Mr. Daxesh Oza. He along with his brilliant ideas and excellent leadership qualities has enabled our company to offer maximum accuracy in processing and delivery of our offered range.